Siding - beauty and durability – and you never have to paint it! New windows that stay new for years and years and years! Sun Rooms offer the outdoor feel with the comfort of indoors. In an industry of hard selling corporate giants and small-time handy men, it’s hard to know who to call for your particular home project. Evans Home Improvement has been the ideal solution for many homeowners. Big enough to have built hundreds of sun/patio room additions and installed thousands of windows, but small enough to send an owner out to meet you and discuss your project. 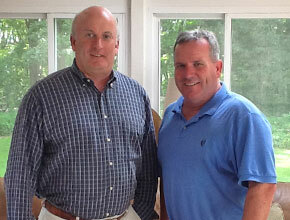 It’s that kind of personal commitment that has kept the Evans family in business in Greater Boston since 1957.